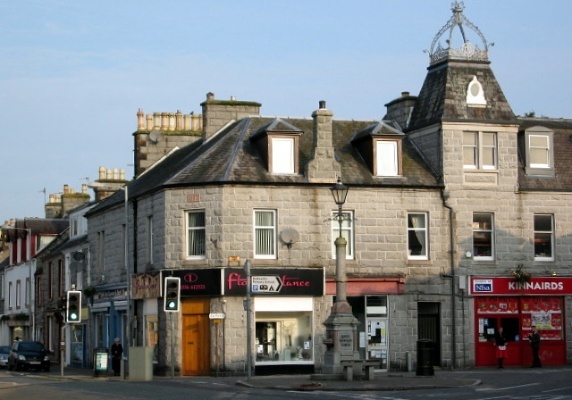 Dalbeattie High Street @ High.St - High Street shops and High St businesses. Large Google map of Dalbeattie High St.
Dalbeattie is best known to us for its fantastic mountain bike trails which are part of the 7 Stanes network. In particular, there is a skills loop, similar to Glentress, that builds confidence and improves ability and for variety there is also the trail at Mabie. The towns history goes back to 1793 when it was founded as a mill town and a centre for quarrying granite. Dumfries and Galloway is a rural area with some beautiful coastline and forests, including the 300 square mile Galloway Forest Park. The area is easy to reach from England, Wales or other parts of Scotland; there are even ferries from Larne and Belfast directly into Stranraer. The Community of Dalbeattie have their own website and there are plenty of links on the Dalbeattie Domain site. The official Dumfries and Galloway Tourist Information website has lots of information about events in the area or you can find out more about the local towns of Castle Douglas, Wigtown, Kirkcudbright and Newton Stewart on this site. We particular recommend a visit to the Gem Rock Museum at Creetown. You should see a montage of pictures above. If all you see is a black rectangle then the pictures can be seen by downloading a small plugin from Photosynth. This plugin is okay, Photosynth is now owned by Microsoft, and well worth downloading.